Gerry has lost it all. His addiction to gambling is whittling away at everything he had, and his mounting debt threatens to consume him. Meeting Curtis, the young brash poker player, seems like the his big break. If the two of them team up they have the chance to finally strike it rich. 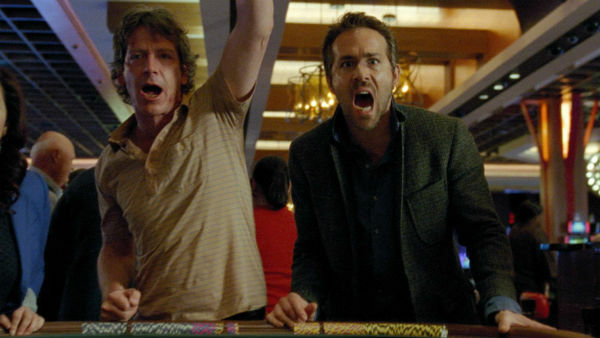 But what could be a fun buddy road trip movie, Mississippi Grind is ultimately a cautionary tale on the dangers of gambling and how easily it can ruin lives. Gerry is living game to game, estranged from his family and in debt to everyone in town (including Alfre Woodard in a great cameo as a local loan shark). One day Curtis breezes into Gerry’s life, like a Manic Pixie Dream Boy. Telling tall tales of a poker tournament in New Orleans, Curtis offers Gerry the chance to hit the road and make a name for himself. But along the way they both come to realize harsh truths about their lives, and the choices that they have made. 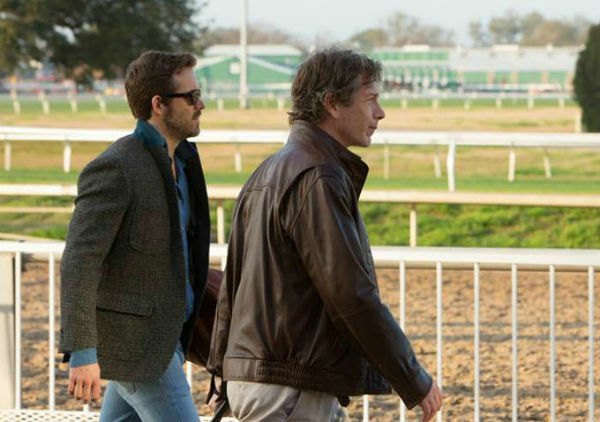 Ben Mendelsohn is devastating in his portrayal of gambling addict Gerry. His hobbit-like awkwardness gives Gerry charm, but underneath his goofiness there is an edge of desperation and self-delusion. He sees himself as the underdog, able to make it big if he’s just given a real chance. But chances come and go, and Gerry can never get out of his hole because there is nothing for him beyond the next win. His layers are peeled back to reveal a broken man that will do just about anything to keep playing. For an actor without a lot of big projects to his name he does a fantastic job of carrying such a heavy burden. I am not a huge Ryan Reynolds fan, for no good reason that I can pinpoint, but he was perfect for the role of Curtis and this has raised him in my estimation. Handsome and confident, but also aimless and lonely, one of Hollywood’s most gorgeous actors spends the film looking haggard and sad. Unlike Gerry, Curtis has a sense of when to quit, but he also knows that he has nothing waiting for him on the other side. He sees in Gerry a companion, but also a warning of what he can become. Their friendship becomes co-dependent and unhealthy very quickly, and both men must re-assess themselves. Writer/director team Anna Bowden and Ryan Fleck present a very raw and real look at the harm of gambling addition, without being too heavy handed. Gerry’s life has fallen apart around him, but so long as he continues to play none of it matters. Curtis seems to be a junkie for experiences, slowly running himself ragged trying to hold onto his past while living in the now. A glimmer of hope is presented to each though; that perhaps Gerry can shake himself out of his troubles and into responsibility; and perhaps Curtis can move on and make a new life for himself. I actually saw this film the week after the festival, as part of a VIP screening presented at the Lightbox by RBC Avion. I had been aware of the film as part of the TIFF15 line-up, but with so many other stories vying for my attention I barely gave it a second look. 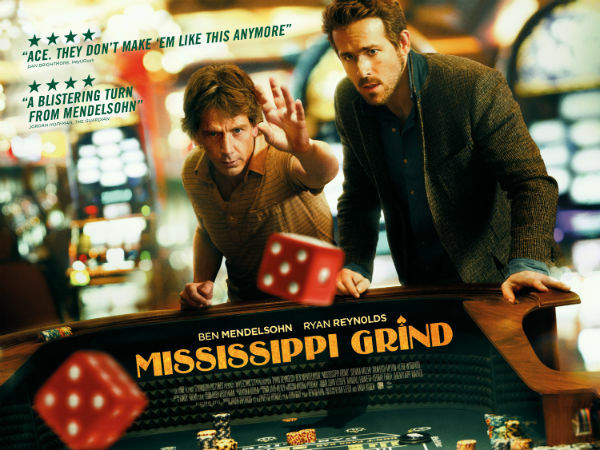 Now having seen it, Mississippi Grind is what I would call a perfect airplane movie – not something you must see in theatres, but definitely worth a look if you have the time. As a bonus film for the end of my festival journey, it was most enjoyable.